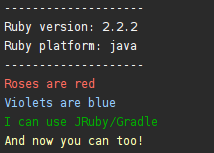 JRuby/Gradle is a collection of Gradle plugins which make it easy to build, test, manage and package Ruby applications. 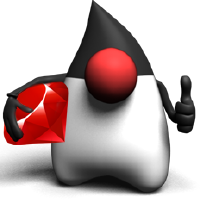 By combining the portability of JRuby with Gradle’s excellent task and dependency management, JRuby/Gradle provides high quality build tooling for Ruby and Java developers alike. description "Execute our nice local print-script.rb"